Cross out another bucket list as you ride the worlds longest urban zipline set in The Dubai Marina. Enjoy the fun and seize the adrenaline rush as you go for the XDubai Line solo or a side by side ride with your partner for the steepest and fastest 16 degree incline zipline adventure. Available every day from 9:00 am to 5:00 pm and is subject to availability. Prior booking is required. 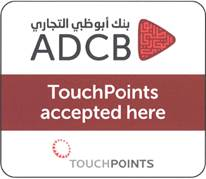 Meeting and checkpoint are in The Dubai Marina Mall at the XDubai Line booth on level P. Your friends and family will get the best view of your ride from Marina Promenade or the Dubai Marina Mall ground floor terrace. Only XDubai Line riders are allowed onto the shuttle and take off the platform. Small lockers are available only to store small items. You need to present the valid booking confirmation and photo ID upon arrival. All sales are final and non-refundable. Rescheduling are allowed if done 48 hrs prior the booked slot or due to weather condition. Refunds will be rejected if the guest fails to show up 30 minutes and if did not meet the safety requirements in the terms and conditions. The Double Trouble ride is also available at 1200 including vat. Modest comfortable clothing and closed shoes. Sportswear is highly recommended. Open for ages 12 to 65 years old. Parental consent is required for riders 18 years old and below. Strictly 50 to 100 kg only and must be taller than 130 cm. The rider must be in a good medical, mental and physical condition and free of recurring and existing injuries. Not under the influence of drugs, alcohol, and substances that impair judgment. Pregnant ladies not allowed. The XDubai Line is built and operated by a highly qualified and globally certified team who carries out daily testing and regular maintenance, making sure safety is always first. They have amazed the world with the thrilling zip ride across Downtown Dubai, and now back with a second XDubai Line ride in Dubai Marina, which offers a double dose of fun and excitement.